Alerts published on Sotawatch late in December 2014 had given some indication of how many activators were planning to visit summits on the morning of 1st January 2015 and it looked like being a busy day. 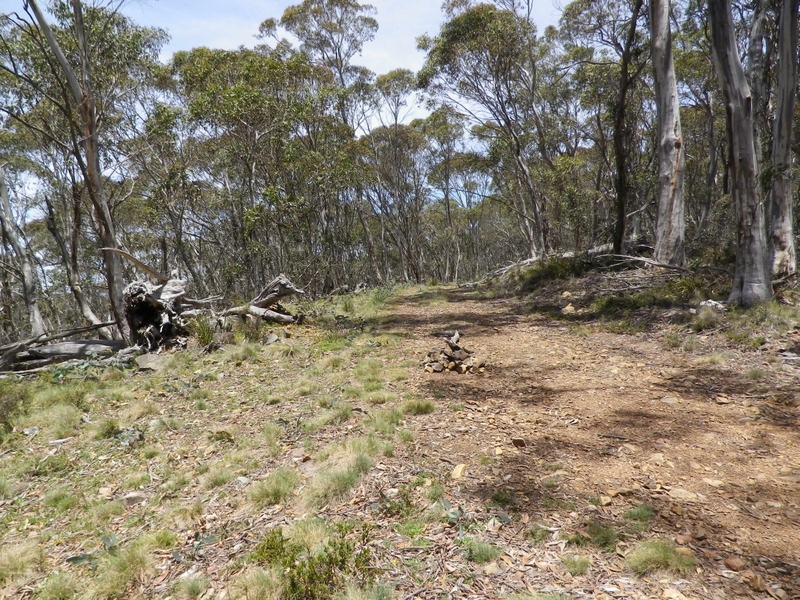 To make best use of this opportunity, Andrew Moseley VK1NAM and I decided on Mt Tumanang, coded VK2/SM-049, south east of Canberra and south of Captains Flat. Neither of us had activated this summit before today so we were hoping to gain not only the S2S points from working other activators from this summit, but two sets of activator points, being 2014 in UTC prior to 11AM and 2015 afterwards. The trip was planned and marked on Andrew’s GPS so we would have some knowledge of distances and some warning of major turns needed within the forest. I left home at about 6:15 to collect Andrew at 7:30. 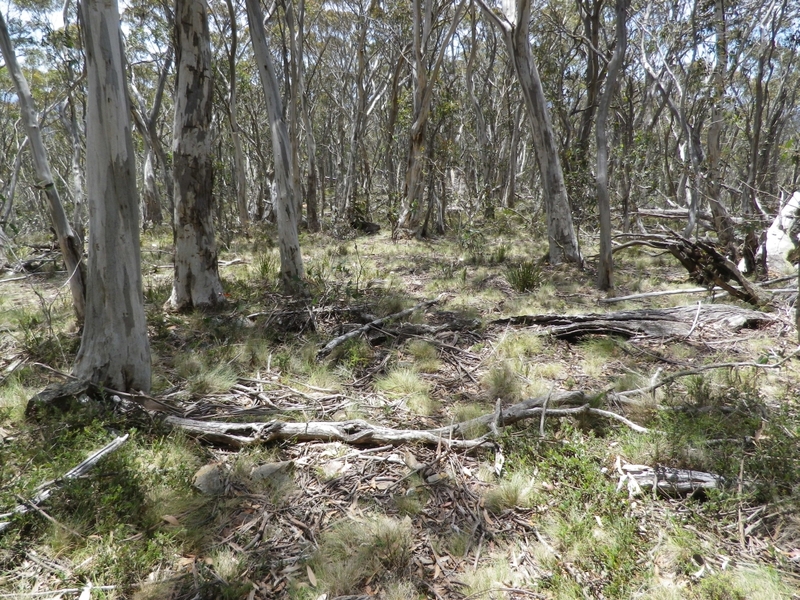 About an hour to the Cowangerong fire trail turnoff on Captains Flat Rd and in another hour we were parked on the fire trail at the foot of the ridge extending north west from the summit. 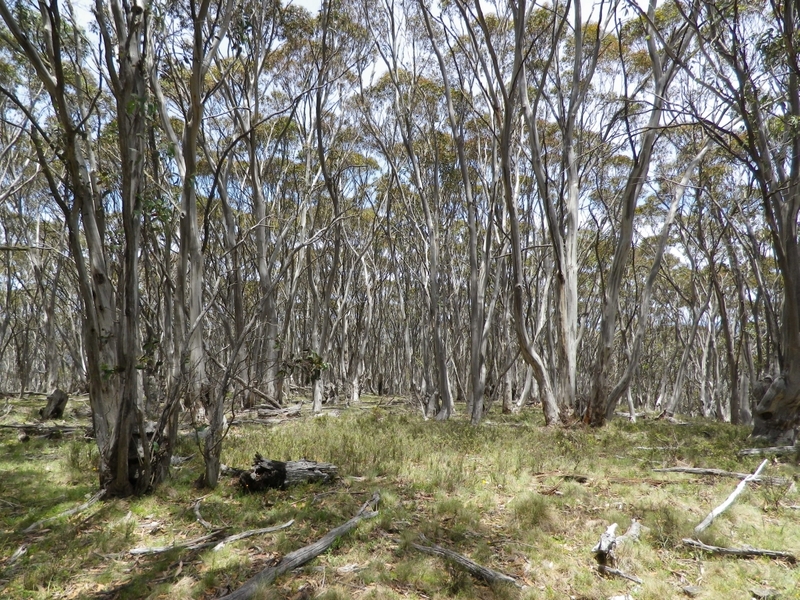 The walk up to the summit was in typical southeastern Australian eucalyptus forest. The walk only took 20 minutes or so. 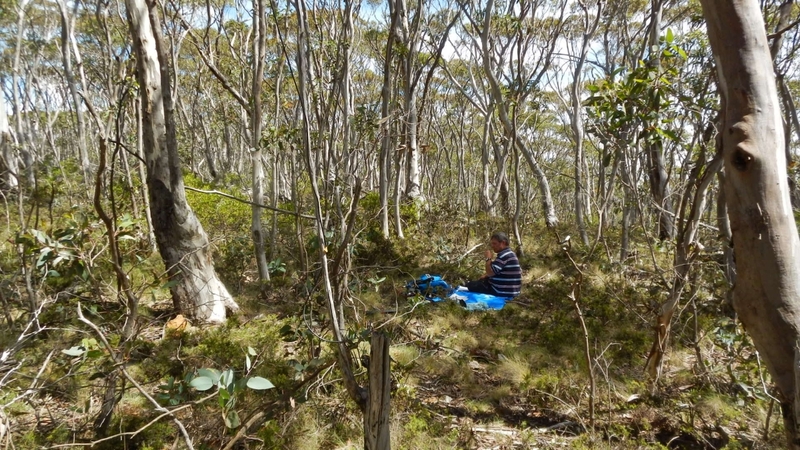 We set up just to the east of the trig station and decided to set up one rig on 40m and the other on 20m. In addition we used the 40m antenna on 6m. 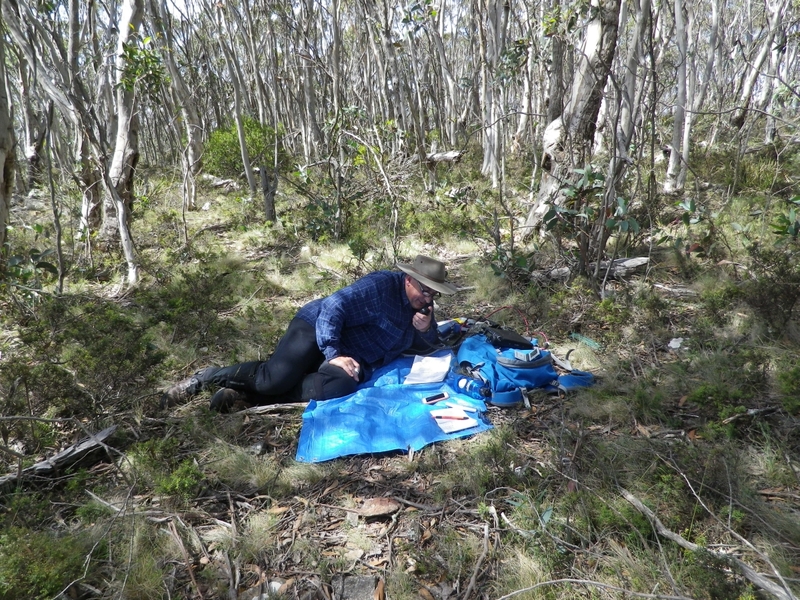 After making several surprising contacts on 6m, one to Gerard VK2IO at Mt Eliot near Gosford NSW, and another to Paul VK1ATP at Booroomba Rocks VK1/AC-026, we ventured onto the 40m band to see how conditions were. Prior to 0000 UTC each activator was keen to score as many s2s points as possible, so many chasers probably missed out on contacts during this period. Each cq call was greeted with several S2S responses and priority was given to S2S, as this is the day when activators are out there to fish for S2S and are keen to make best use of the time. For the next two hours it was frantic on the 40m band all the way up to 7170 where we found it was possible to provide contacts for chasers, but only for a few contacts at a time until other activators found us and requested priority. 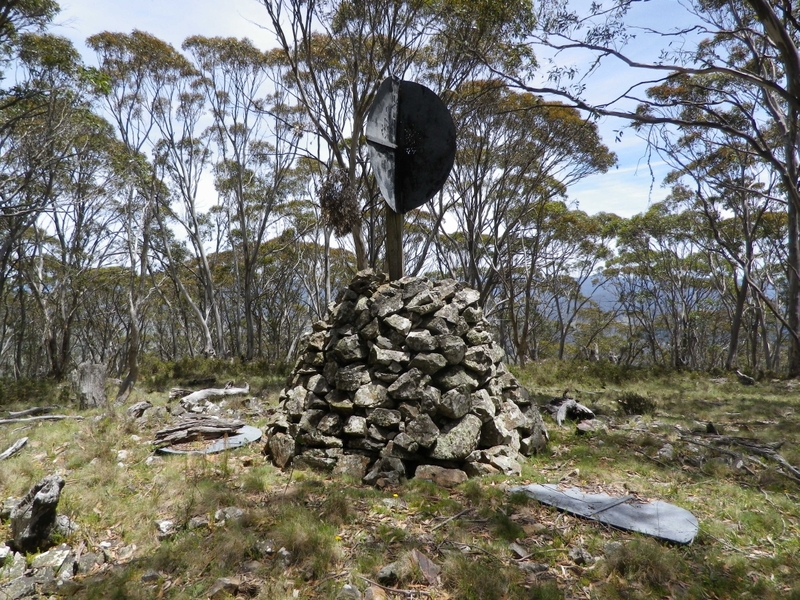 Eventually we decided to move on to Mt Cowangerong, which we had passed on the way to Mt Tumanang. 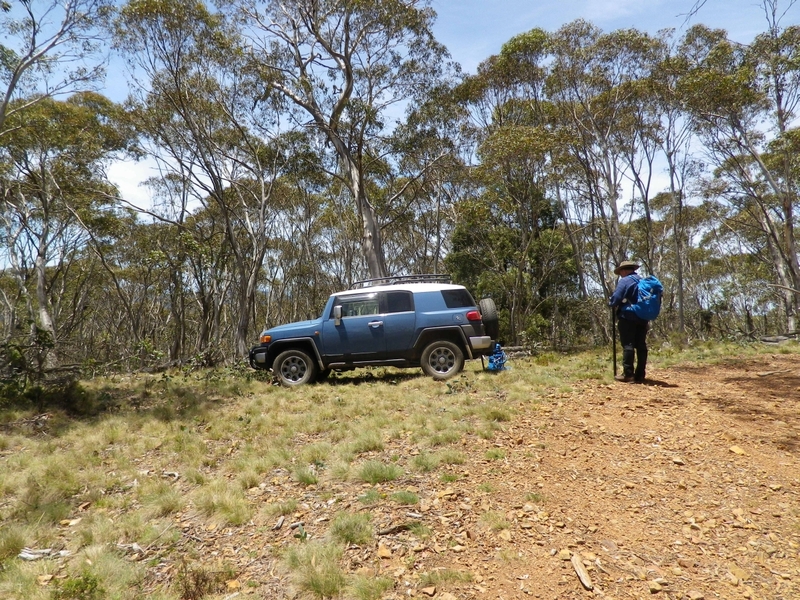 It took about an hour of quite slow travelling with 4WD-low engaged for some of the time. The erosion control humps on the road vary in size but some are big enough that you don’t really know what’s on the other side. The photo does not really show the size of the hump. See similar photos in the account by Mark VK1EM. 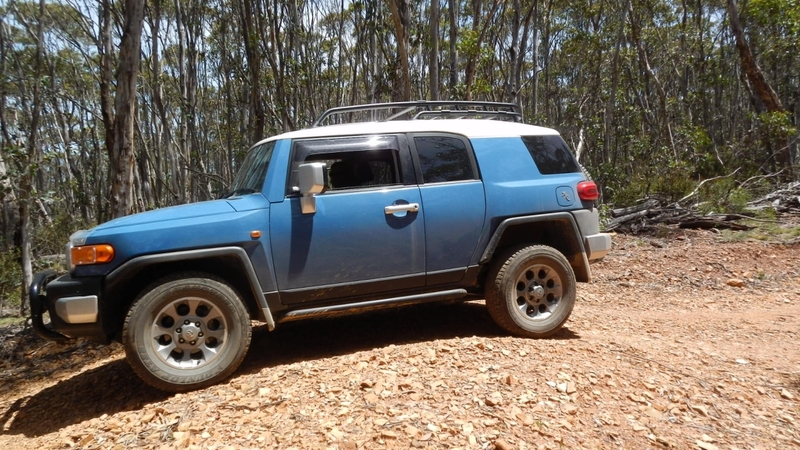 The FJ cruiser has plenty of clearance and is probably a little shorter than Mark’s Pajero so the angles of these erosion barriers did not pose any problem for us. 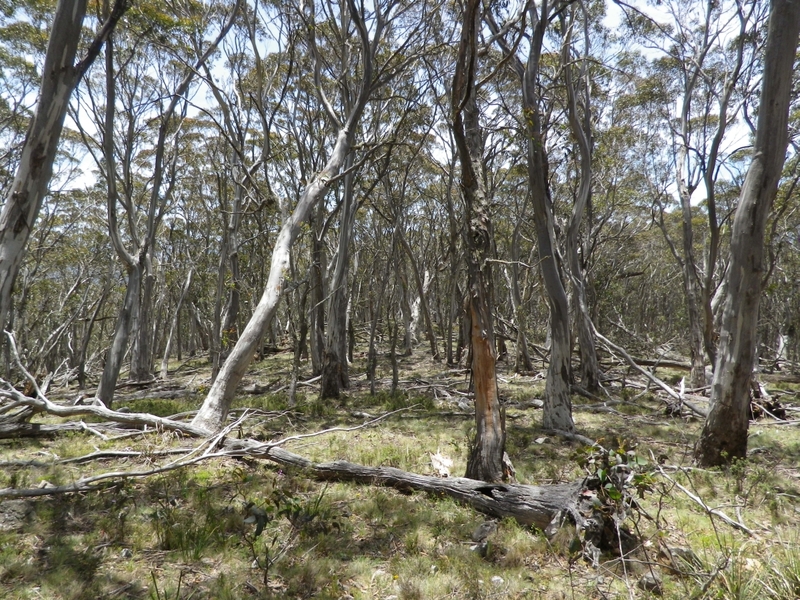 At Mt Cowangerong it was somewhat more subdued, though we still earned and handed out many S2S and chaser points. 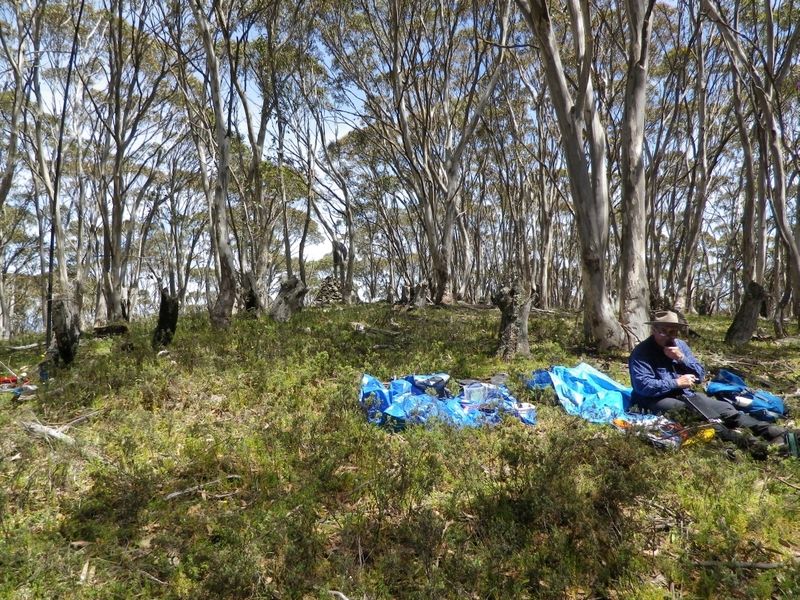 Overall a great day for some SOTA operation on HF, some surprise contacts on 6m and fairly low conditions on 20m and above. While we did hear one VK6 station, signal levels were very low and we had no luck in being heard despite a sked lined up by VK5PAS. I know some operators are not keen on these big activity days. But they create a big splash on an otherwise quiet band and give many people a chance to earn some new points, new unique summits worked and a boost to the S2S tally. I think my own S2S tally increased by over 270. Given that i was hoping to reach 1000 by the end of 2014 and was very pleased to do so (something that took almost 2 years to achieve) I was stunned to see my S2S score rise by 27% on one day. We wanted each of us to be able to make all the s2s contacts possible, so we needed the equipment to be closely located. That meant some interference between the two radios, both emitting wide band hash whenever transmitting. We will need to consider alternative layouts if we want to operate simultaneously in future. The obvious method is to separate the equipment widely and that would normally be the case with each of us using different bands. 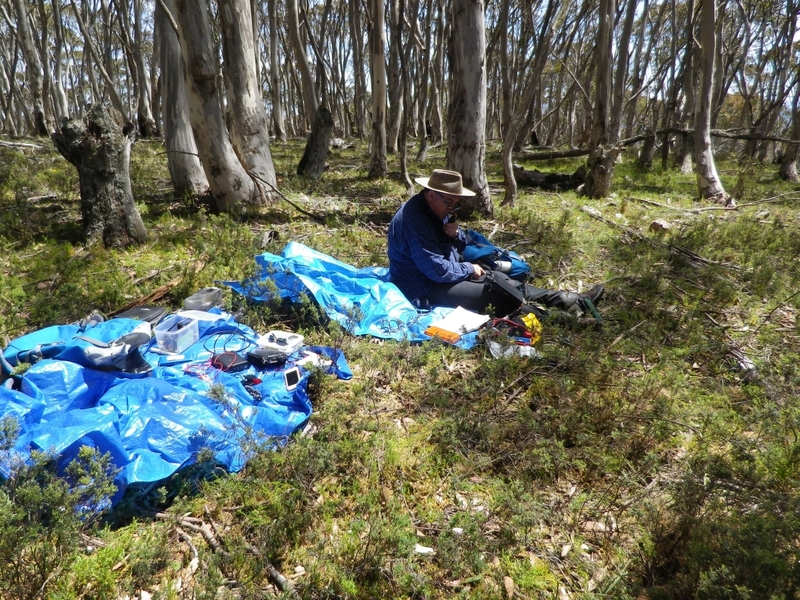 On other sites we have been able to operate on different bands with a separation of 20-30m and we know that other joint expeditions have managed to even operate on the opposite ends of the same band, one on ssb and one on cw. 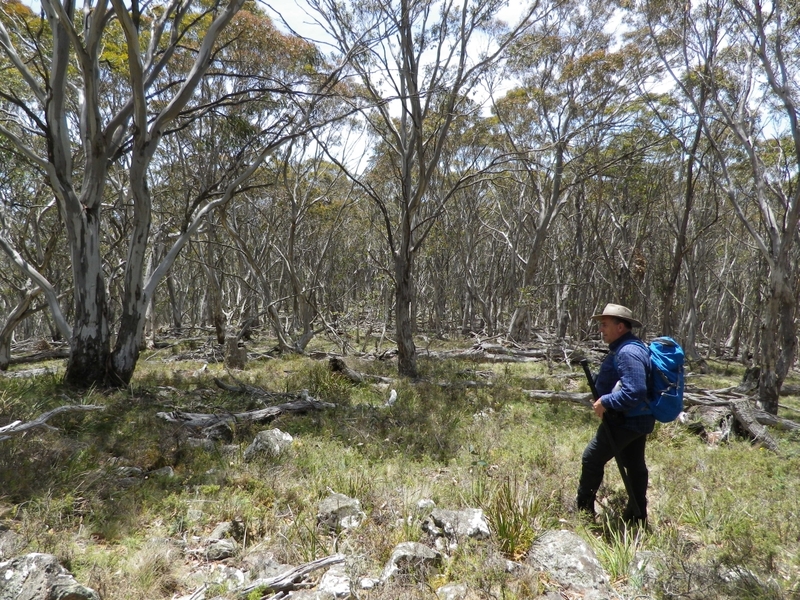 Thanks again to Andrew VK1NAM for his guidance, navigation and good humour during the day.